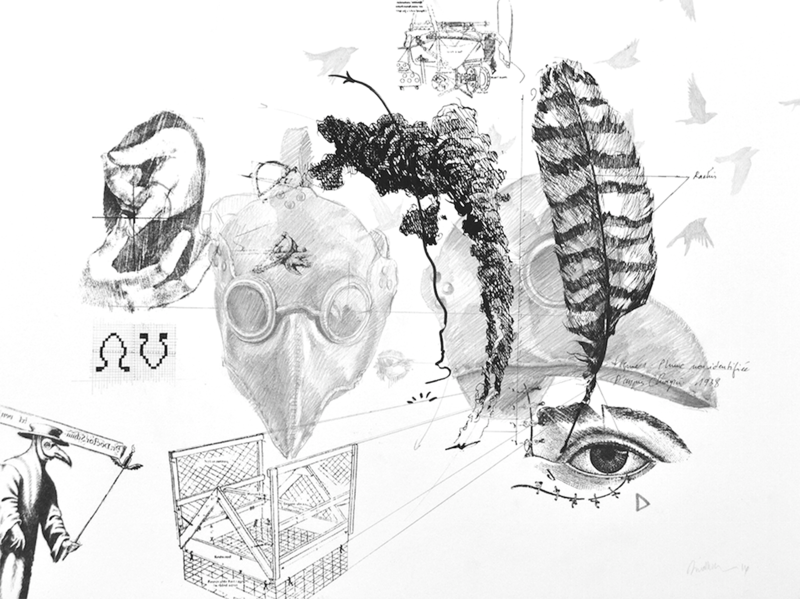 Tunisian artist Nidhal Chamekh leads a drawing masterclass, demonstrating drawings styles and his montage technique, with opportunities for participants to work with pen, pencil and ink. Nidhal Chamekh deploys classical drawing as a forensic tool to uncover evidence of historic acts of governmental injustice and brutality in his native Tunisia and to produce both small and large scale drawings that comment on the unfolding political events in the region. The small scale drawings are characterised by assemblages of heterogeneous images whilst the larger works use more traditional composition. His works on paper, executed in graphite, demonstrate his highly skilled drawing techniques. The workshop will begin with a presentation by Chamekh, using examples of drawings he has made in the past few years, and making reference to writers and artists that influence his work. 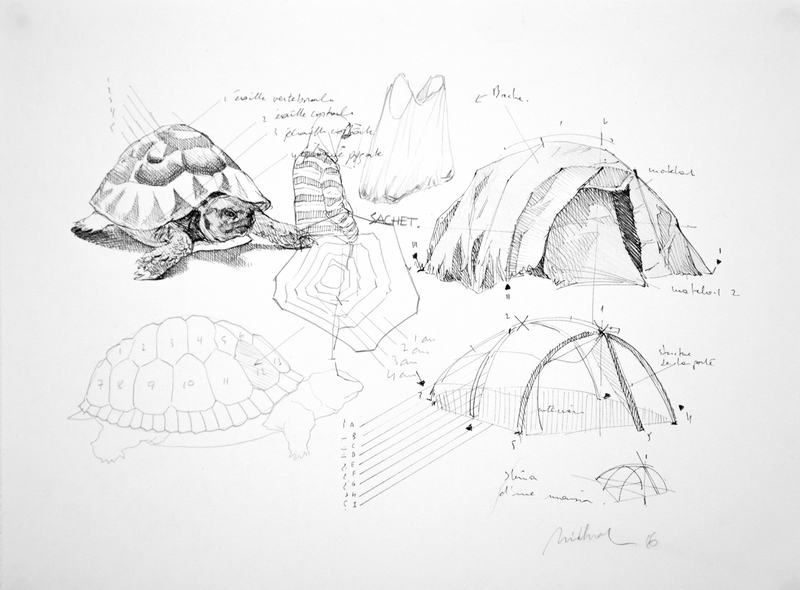 The artist will set a task, providing a selection of images from which participants can work, and will provide guidance and tuition on particular drawing techniques. For reference, Drawing Room’s Outset Study holds titles from Chamekh’s reading list, including The Surviving Image: Phantoms of Time and Time of Phantoms: Aby Warburg's History of Art by Georges Didi-Huberman, La Pensée Fragmentée by Ralph Heyndels, and Orientalism by Edward W. Said. Chamekh is included in Graphic Witness. Though influenced by the popular culture of Tunis, the modern politics of Tunisia, and his experiences living in Europe, Nidhal Chamekh’s artistic practice transcends specific geographic and social subject matter. Working with a range of media, Chamekh is drawn to complexity, as evidenced by his transcultural, sociopolitical research and his artistic commitment to macrocosmic and primordial questions regarding beginnings, endings, and the cycle of life and death.